Surprise, surprise, turns out Apple’s debut foray into the world of voice assistant-enabled speakers isn’t quite living up to the company’s initial expectations. According to a Bloomberg report, the company has lowered the number of Homepods being manufactured by one of its partners, Inventec Corporation, and is reportedly looking to make a second smart speaker, one a bit less expensive than its current $350 offering. Meanwhile, according to a report from The China Times, Apple is slashing the number of monthly HomePod orders from 500,000 to 200,00 due to some disappointing sales. Apple retail store workers cited in the Bloomberg story claim to be selling “fewer than 10 HomePods a day.” Apple’s no stranger to lackluster sales when it comes to new products, but the HomePod seems to be fighting a war on multiple fronts, and doing poorly in each one. We’ve reached out to Apple for comment on the HomePod situation. It’s not like they’re just collecting dust, though. Loup Ventures co-founder Gene Munster expects Apple will sell around 7 million HomePods this year, and 11 million in 2019. 11 million is a lot, but is pretty small compared to the 39 million Echo devices he expects Amazon to sell in the same timeframe, or the 32 million Google Home devices also expected to end up in homes. 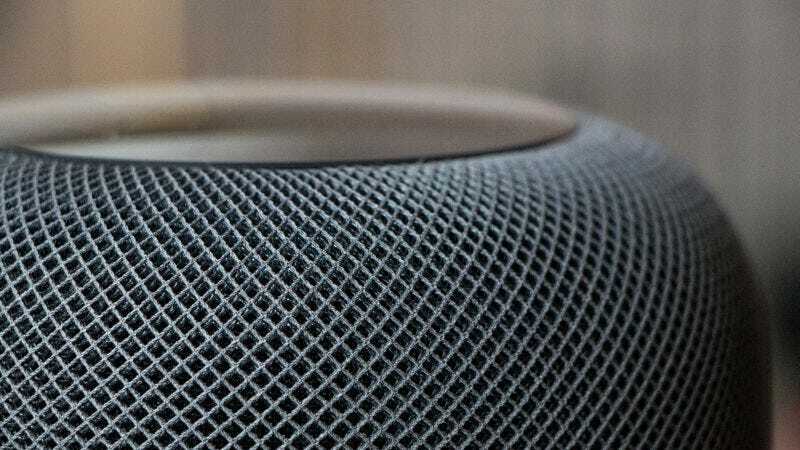 The introduction of a cheaper HomePod, as suggested by The China Times, would no doubt make the device more accessible, but that doesn’t exactly solve the most debilitating problem plaguing the HomePod, its limited functionality. When we took a look at the HomePod, we found it wasn’t good at much. Hell, the damn thing only plays Apple Music, and still doesn’t support multi-room audio. What does Apple need to do in order to turn the tide when it comes to selling its smart speaker? Make it smarter, for one. With Siri being dumb as rocks and more capable devices available for as little as $40, it’s obvious why people prefer Amazon’s Alexa and Google Assistant over Siri. Even an independent study showed Siri to be a lesser product when it came to answering questions compared to Google Assistant. Let’s be real for a second: the HomePod isn’t that great, all in all. I mean, sure, it sounds great, and at $350 it damn well better. But when it comes to the whole “voice assistant” part of Apple’s voice assistant speaker, Siri repeatedly drops the ball while both Google Assistant and Amazon Alexa are just posted up, shootin’ three after three.